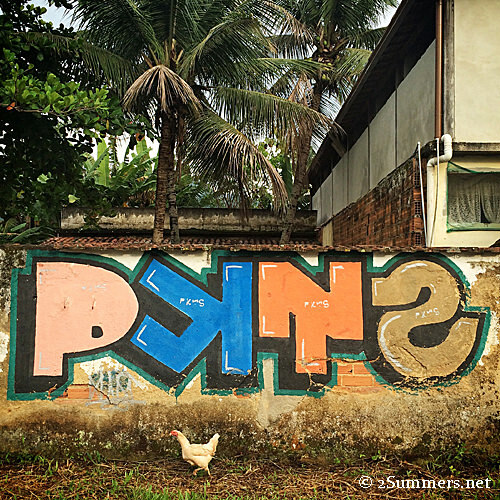 Brazil has a particularly interesting animal culture and my sister and I spent a lot of time instagramming the animals we came across on our recent trip there. Here are a few highlights. 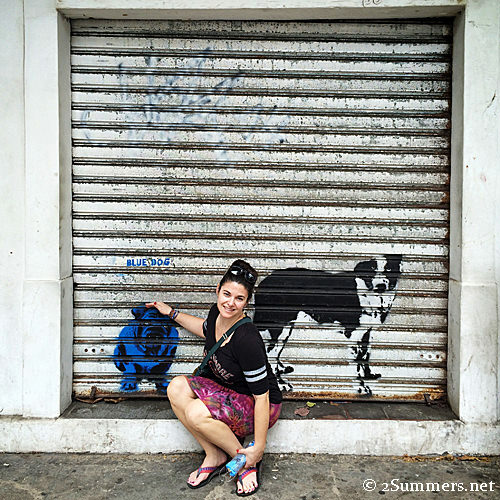 My sister Susanna with some painted dogs in Rio. This shot was in my previous Rio post but I think it warrants a repeat appearance. 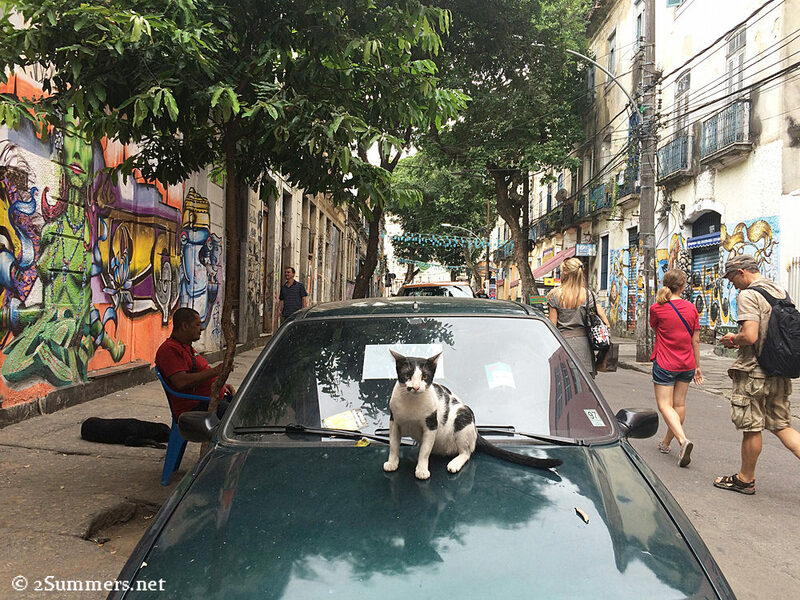 Dogs are more prevalent than cats in Brazil but most of the cats we saw had a distinct look about them — broad, triangular faces and big bodies. 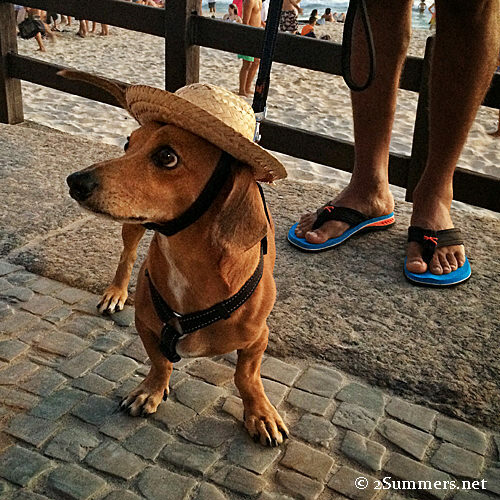 Dog in a Hat, Ipanema Beach. We saw lots of cute dachshunds in Rio. 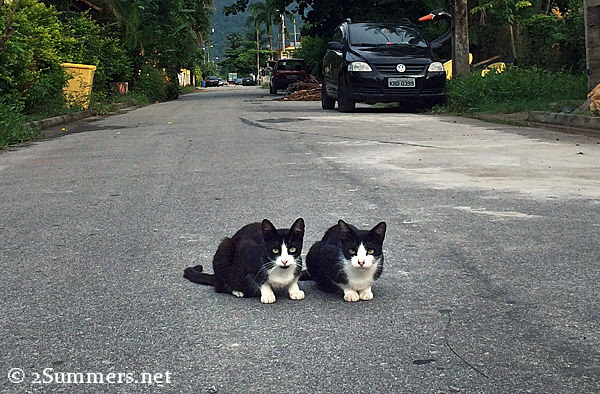 Egyptian-looking cats in Jabaquara, a little beach hamlet near the Brazilian town of Paraty. 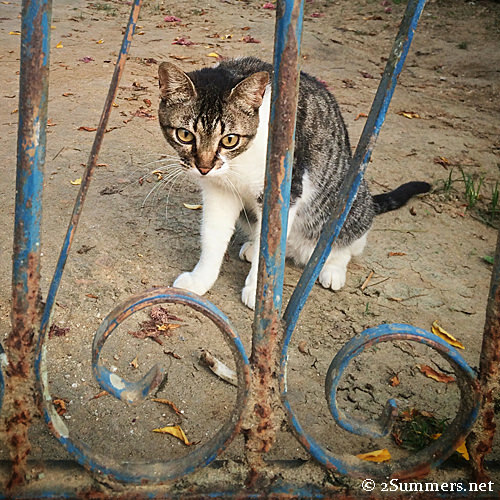 Cute cat behind a gate in Paraty. We spent the last two days of our trip on an island called Ilha Grande. 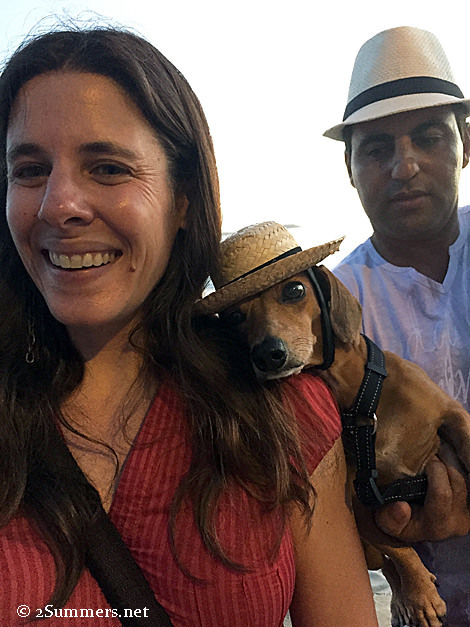 There were dozens, if not hundreds, of dogs in the island’s main village of Abraão; it was hard to tell if the dogs were strays or just pets with lots of freedom. They ran around town like they owned the place, sleeping on the beach, casually begging at beachside cafés, and poking their heads into air-conditioned shops. 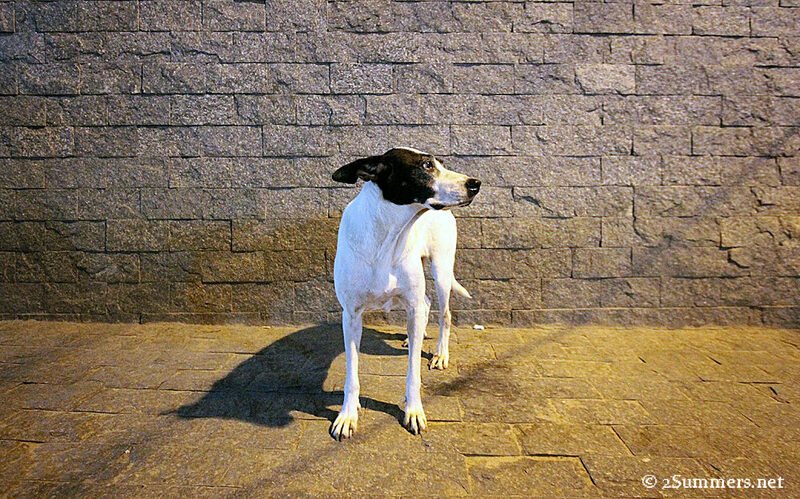 The dogs were friendly but not much interested in human attention — they seemed to be on their own mission. 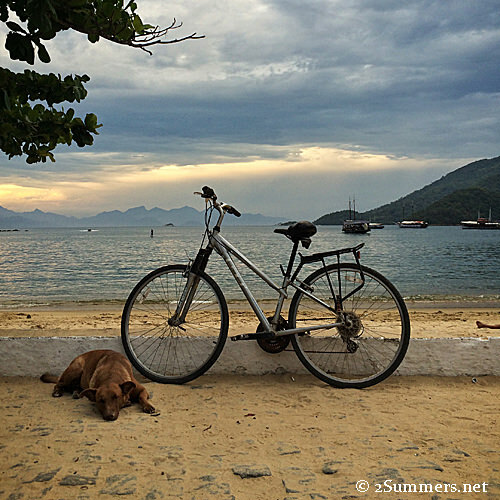 A typical dog on Ilha Grande. Pausing briefly to take in the scene. Not remotely interested in me or anyone else. 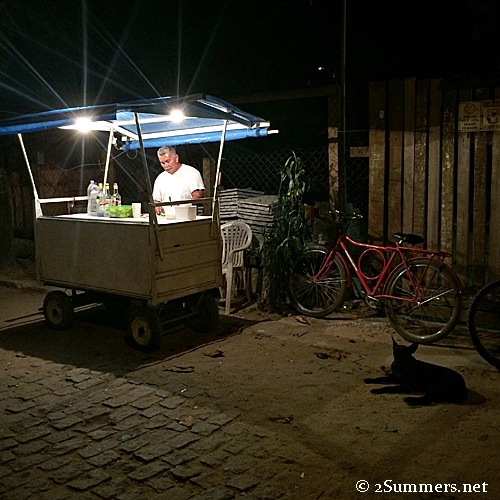 This is the last photo I shot in Brazil, of a street-side caipirinha vendor. See the dog in the shadows? One more Brazil post to come. So you all found a portrait of Sassy in Rio. Didn’t realize she was so cosmopolitan. You now need to go to India and do a blog about the cows. I really want to know what the deal is on the cows. Wow youte right. That’s Sassy! I was fascinated by the cows in India too. The Brazilian horses reminded me of them. I get the feral cats and dogs roaming around but how does a horse get into the mix? He or she is such an odd coloring too! 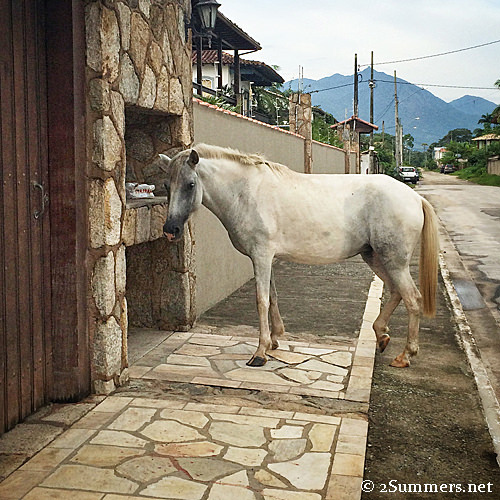 I’ve seen wild horses before but never a feral horse wandering around a small village! Your CommentsI agree about it and very interested.